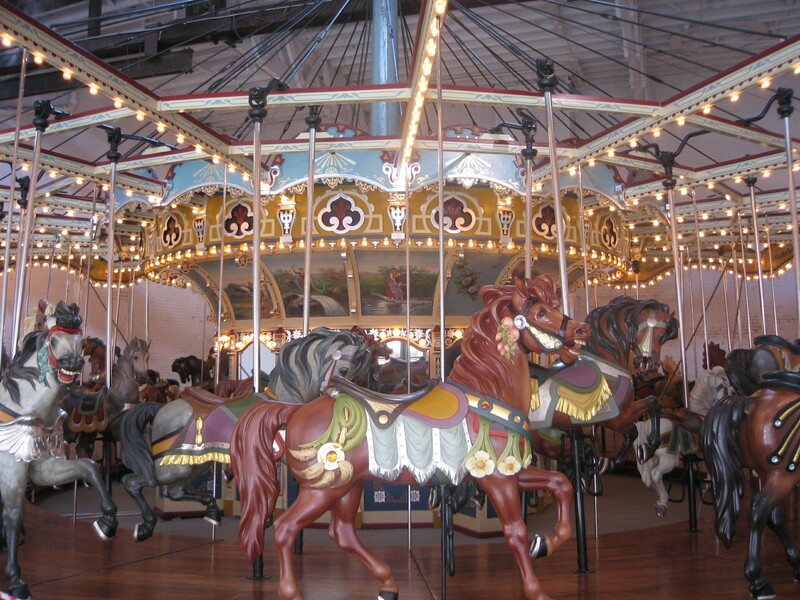 I don’t know if it was the treasure island theme, the two tiered Italian carousel or a contact high from too many helium balloons, but in the late seventies, Omni International Mall sold the most incredible chocolate chip cookies ever made. To this day, if any one in my family mentions that they had a really great cookie, the first question is always, “Omni International good?” Although it’s hard to find a bad chocolate chip cookie, everyone has a different criteria for what makes a great one. The Omni cookies met every possible criteria simultaneously. They were cakey but crisp, gooey but dunkable, and then they were gone. The Omni went from being an upscale retail experiment housing Pucci and Hermes to a tropical shipwreck and sometimes Miami Vice location that prompted your parents to ask if your doors were locked when driving past. 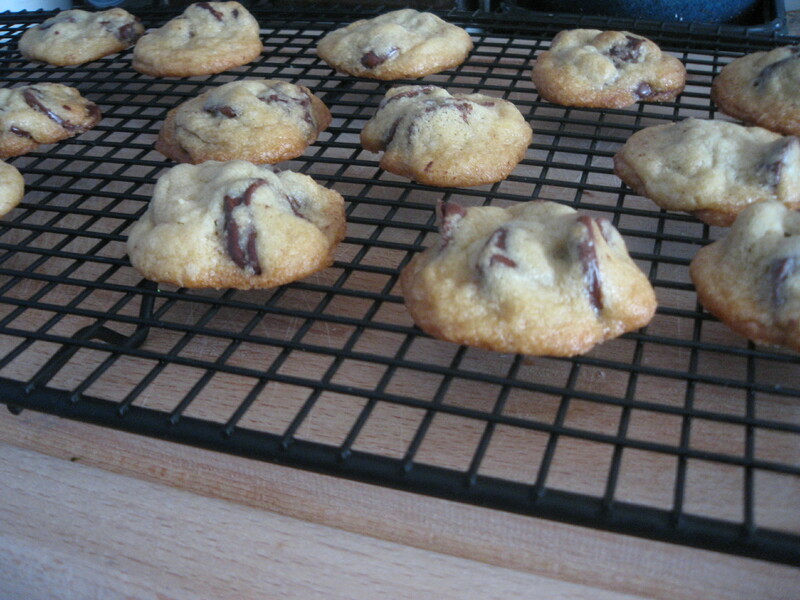 Still, I’ve always wanted to make a classic chocolate chip cookie that made me feel the same way they did. Last Christmas, at the end of a cookie making marathon, I started a final batch of chocolate chip cookies using the Guittard Super Chips, following the straightforward recipe on the package. I was shocked by the results. I’d tried a few different recipes before, but they typically melted too fast into crisp edged, pools of butter and chocolate. These were different. They were golden and crisp on the outside and cakey in the middle. The oversized chips have a little bit of added vanilla making them really flavorful. 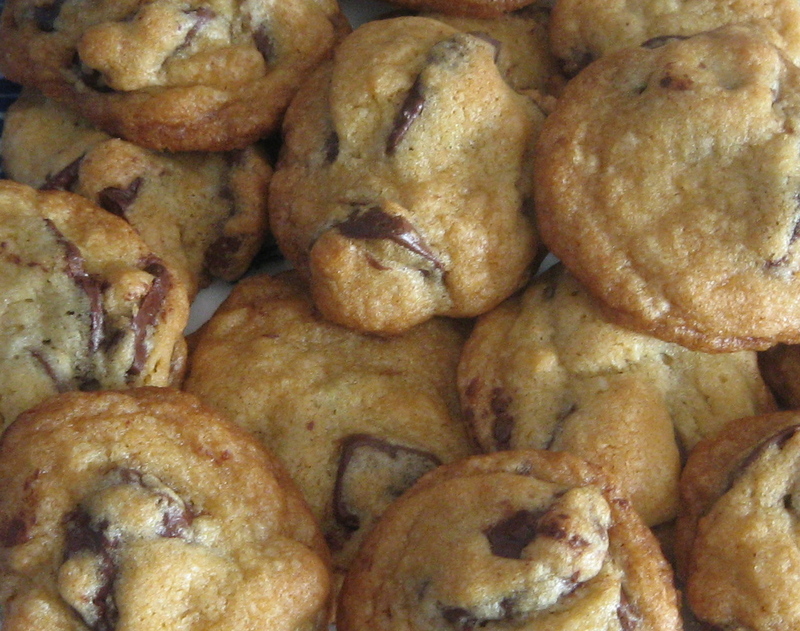 I thought I had finally figured out how to make my own version of the perfect chocolate chip cookie. I spent the next year trying to reproduce them without ever coming close. I seemed incapable of putting all the ingredients together again, in just the right way, for the same result. I had become pretty adept at making all kinds of cookies, the more complicated the better, so it stung that such a basic eluded me. Then this past Christmas, again after a cooking marathon, there they were. Christmas miracle cookies, so smug, that I hated them a little. I finally realized what had been missing. In both cases, I had been too rushed to let the butter completely soften to room temperature. This weekend, I tried my luck during a nondescript, non-holiday and there they were again, like they’d never been gone. I was never trying to recreate the Omni cookies. I don’t need to tip windmills to know that these mythic cookies were most likely the result of an early Mrs. Fields outpost plus thirty years of nostalgia. My cookies could never be as great as the Omni cookies, only as good because I could conjure them at will. This recipe is adapted from the basic Guittard recipe. Preheat oven 375 degrees. Line a large baking sheet with parchment paper or nonstick liner. In an electric mixer with the paddle attachment, cream together butter, sugar and brown sugar until light, about 5 minutes. Beat in egg and vanilla. Add flour mixture all at once and continue to mix on low until just combined. Fold in chips. 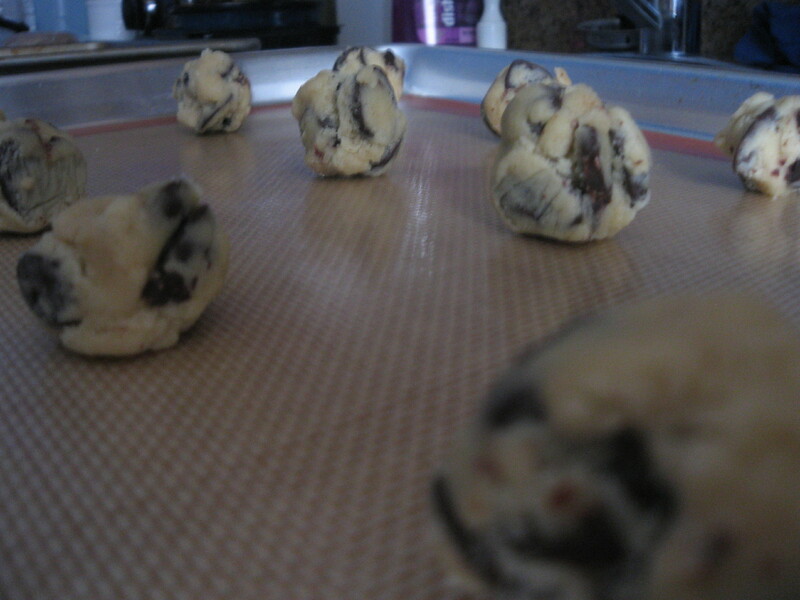 Drop by well-rounded teaspoonfuls onto cookie sheet. Bake 8-10 minutes or until golden brown. I live in a ski resort. The altitude reeks havoc with my baking!! ALL of my chocolate chip cookies come out flat and hard. I will try yours, thanks!! I think I will chill the dough overnight for good measure!! I can empathize! My kitchen get too hot in the summer so lots of chilling time helps!